Libreville is the capital and largest city of Gabon, in western central Africa. The city is a port on the Komo River, near the Gulf of Guinea, and a trade center for a timber region. As of 2013[update], its census population was 703,904. The area was originally inhabited by the Mpongwé tribe before the French acquired the land in 1839. In 1846, a Brazilian slave ship was captured by the French navy assisting the British Blockade of Africa, and fifty-two of the freed slaves were resettled on the site. It became the chief port of French Equatorial Africa from 1934 to 1946, and was the central focus of the Battle of Gabon in 1940. Libreville was named in imitation of Freetown, and grew slowly as a trading post and a minor administrative centre, reaching a population of 32,000 on independence in 1960. Since independence, the city has grown rapidly and now houses nearly half the national population. It is home to a shipbuilding industry, brewing industry, and sawmills, and exports raw materials such as wood, rubber and cocoa. The area was inhabited by the Mpongwé tribe long before the French acquired the land in 1839. American missionaries from New England established a mission in Baraka, Gabon, on what is now Libreville, in 1842. In 1846, the Brazilian slave ship L'Elizia, carrying slaves from the Congo, was captured near Loango by the French navy which was tasked with contributing the British Blockade of Africa. Fifty-two of the freed slaves were resettled on the site of Libreville (French for "Freetown") in 1849. It was the chief port of French Equatorial Africa from 1934 to 1946, and was the central focus of the Battle of Gabon in 1940. 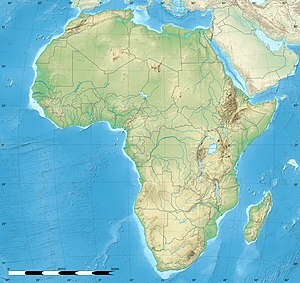 In 1910, French Equatorial Africa (Afrique équatoriale française, AEF) was created, and French companies were allowed to exploit the Middle Congo (modern-day Congo-Brazzaville). It soon became necessary to build a railroad that would connect Brazzaville, the terminus of the river navigation on the Congo River and the Ubangui River, with the Atlantic coast. As rapids make it impossible to navigate on the Congo River past Brazzaville, and the coastal railroad terminus site had to allow for the construction of a deep-sea port, authorities chose the site of Ponta Negra instead of Libreville as originally envisaged. Construction of the Congo–Ocean Railway began in 1921, and Libreville was surpassed by the rapid growth of Pointe-Noire, farther down the coast. Libreville was named in imitation of Freetown, and grew only slowly as a trading post and a minor administrative centre to a population of 32,000 on independence in 1960. It only received its first bank branch when Bank of West Africa (BAO) opened a branch in 1930. Since independence, the city has grown rapidly and now houses nearly half the national population. From north to south, major districts of the city are the residential area Batterie IV, Quartier Louis (known for its nightlife), Mont-Bouët and Nombakélé (busy commercial areas), Glass (the first European settlement in Gabon), Oloumi (a major industrial area) and Lalala, a residential area. The city's port and train station on the Trans-Gabon Railway line to Franceville lie in Owendo, south of the main built-up area. Inland from these districts lie poorer residential areas. North-west of Equatorial Guinea is where the city stands, labeling the city as a part of north-west Gabon. In terms of the country's surrounding boundaries, north is Cameroon, east is Congo, and south-east is the Democratic Republic of the Congo. It also rides the shores of the South Atlantic Ocean, which is on the country's west coast for reference. Additionally, in terms of aquatic geography, the Komo River passes through the city and empties into the ocean. The Komo River also stands as a potential hydroelectric source of power for the city which could generate supportive amounts of energy and power. Several city districts provide distinct and separate benefits throughout the city as well. In terms of nightlife, the Quartier Louis sector is most renowned. One of this zone's sides includes the coast, and this heavily influences the possible activities available in the area. Commercial areas within Libreville are housed in the Mont-Bouët and Nombakélé districts, which feature several shopping centers and stations selling purchasable goods. Oloumi contains much of the city's industry, integrating production separately from the districts that focus upon other aspects. Finally, Lalala and Batterie IV are residential and housing sectors, where much of the populace resides. Libreville features a tropical monsoon climate with a lengthy wet season and a short dry season. The city's wet season spans about nine months (September through May), with a great deal of rain falling during these months. Its dry season lasts from June through August, and is caused by the cold Benguela Current reaching its northernmost extent and suppressing rainfall. Despite the lack of rain, Libreville remains very cloudy during this time of year. As is common with many cities with this climate, average temperatures remain relatively constant throughout the course of the year, with average high temperatures at around 29 °C (84 °F). The National Society of Transport (SOGATRA) just[when?] launched the new taxis that operate on a counter system. The Gabonese Transport Company operates a bus service to all districts of Libreville. Libreville is one of several African cities where French is truly becoming a native language, with some local features. The city is home to a shipbuilding industry, brewing industry, and sawmills. The city exports raw materials such as wood, rubber and cocoa from the city's main port, and the deepwater port at Owendo. ^ "GeoHive – Gabon". 22 October 2015. Archived from the original on 6 September 2011. ^ "Libreville Geography – Information, climate and weather in Libreville". libreville.com. ^ "Libreville Climate Normals 1961–1990". National Oceanic and Atmospheric Administration. Retrieved 10 September 2015. ^ "Libreville – safari gateway into Gabon". Zambezi.com. 19 June 2012. Retrieved 21 January 2015. ^ World Airline Directory. Flight International. 16–22 March 2004. "64"
^ Press Association (26 November 2013). "Borussia Dortmund 3-1 Napoli | Champions League Group F Match Report | Football". The Guardian. Retrieved 21 January 2015. This page is based on the Wikipedia article Libreville; it is used under the Creative Commons Attribution-ShareAlike 3.0 Unported License (CC-BY-SA). You may redistribute it, verbatim or modified, providing that you comply with the terms of the CC-BY-SA.